Requirements: Minecraft Forge, ComputerCraft, and Immibis Core (which you can download from the same page). An RFID card is an item that can hold up to 80 characters of data. If you are holding one anywhere in your inventory, it can be read by any computer with a connected RFID reader within 5 metres. They can only be written once, and writers are quite expensive and slow, though readers are not. This block reads RFID cards held by players within 5 metres. 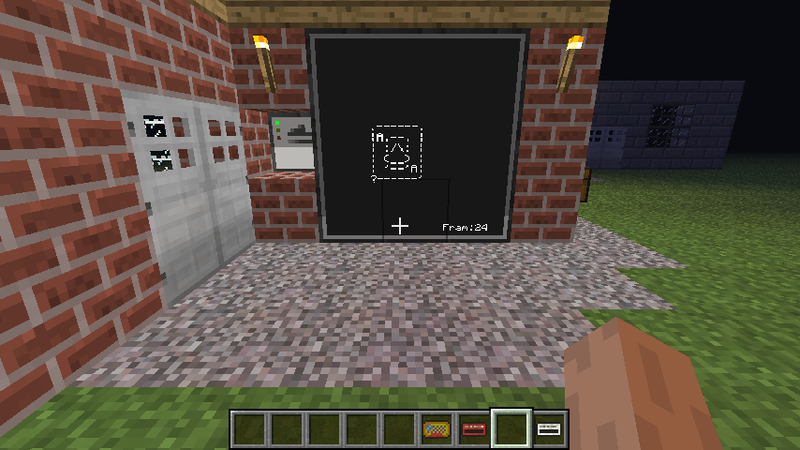 It has no GUI and can only be used from Lua code. Right click with a RFID card in your hand to insert the card. Right click with an empty hand to remove the card, if there is one in the writer. You cannot remove the card unless the glass cover is completely open. Starts scanning for nearby RFID cards. Returns true on success, or false and an error message on failure. Range is optional and defaults to 5. If specified, it must be a number between 1 and 5 inclusive, in blocks. 1.4 metres when the player is standing right up against the block. 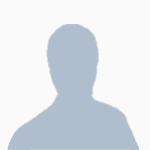 reader.getProgress() -- Returns progress, from 0 to 1, or -1 if not currently scanning. Scans take 0.5 seconds at maximum range. At lower ranges the time is proportionally shorter (eg 0.25 seconds at 2.5m). In previous versions, it took 1 second to scan at maximum range. RFID readers can scan with a distance longer than 5 blocks. However, they will take proportionally longer. 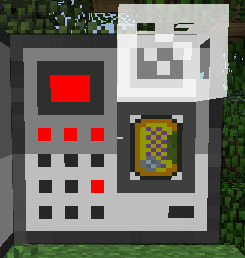 At distances longer than 5 blocks, you can detect the existence of a card, but the data returned will be blank. "rfid_scan_done", side -- Queued when an RFID scan is finished. 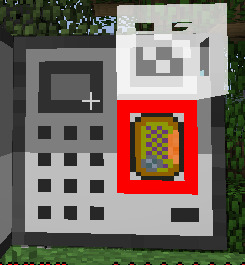 RFID cards can only be read from players' inventories and storage minecarts. writer.encode("card data", "card label") -- Starts writing the inserted card with the given data and label. Returns true on success, or false and an error message on failure. writer.getProgress() -- Returns progress, from 0 to 1, or -1 if not currently writing. Writing takes 30 seconds. When writing is complete, you will get an "rfid_written" event. Writing will abort if the chunk unloads. You can also craft a card with any dye to change the colour of the white tab - this is purely visual and doesn't affect anything else. Mag-cards (magnetic stripe cards) are similar to RFID cards, but they are rewritable, store slightly more data (100 chars instead of 80) and require physical contact with the machine to read or write. They're also written and read with the same device, which is cheaper than an RFID reader and much cheaper than an RFID writer. This is a peripheral that reads and writes mag-cards. Right click while holding a mag-card to swipe it. The green light shows whether the device is attached to a computer. The yellow light shows whether the device will write (on) or read (off) the next card swiped. The orange light is controlled through the API, and is intended to indicate that the computer is waiting for you to swipe a card. reader.beginWrite("card data", "card label") -- Sets the device to write the next swiped card with the given label and data. "mag_write_done", side, old_data -- Queued when a card is written. "mag_swipe", data, side -- Queued when a card is read. 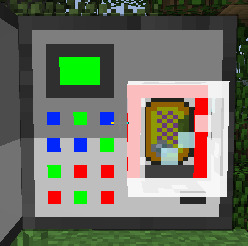 Like with RFID cards, you can craft a card with any dye to change its colour. This is a peripheral that plays square waves. There are two main parts to the API, the "simple API" (which lets you control the speaker directly) and the "Forth API" (which lets you upload a program to be run on clients). If you don't know Forth, don't use that part of the API - it's an advanced feature. speaker.setAttenuation(db) - sets the attenuation (negative volume) in dB. A good default seems to be 20. There are 8 channels, numbered from 0 to 7. Despite the name, these will work over any distance - even through unloaded chunks. Network data is stored in (your world folder)/data/immibis's-peripherals-networks.dat - if you delete this, you'll need to break and replace every cable and modem before they'll work again. 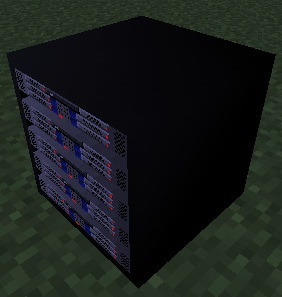 This peripheral is the interface between a network and a computer. 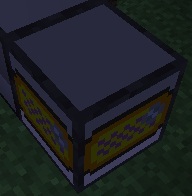 It must be placed on the side of a block, but will stay even if that block is removed - this allows it to be used with turtles. This is the cable you can use to connect modems together. 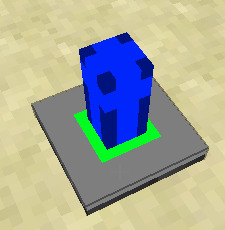 This uses blue wool, not lapis blocks! LAN messages are strings, similar to rednet. Each modem can send a maximum of 10 messages per second, regardless of size, and stores up to 25 unsent messages - if you try to send more, you will receive a "Buffer full" error. Each LAN message is addressed to a channel. There are 128 channels which any computer can listen to, numbered from 1 to 128 ("positive channels"). By default, a computer listens to channel 1, and no other positive channels. Channel numbers can also be below 1 ("negative channels"). If a message is addressed to a negative channel, it is received by the computer with that ID (eg, messages addressed to -5 will be received by computer 5) and also to any modems that are in "promiscuous mode," which can be set using a peripheral function. LAN messages also carry a sender ID. Sender IDs can be faked, unless disabled in the config. modem.getPromiscuous() - returns true if this modem is in promiscuous mode, or false otherwise. modem.setListening(channel, state) - starts or stops listening on a channel. state is a boolean. channel must be in the range 1 to 128.
modem.getListening(channel) - returns true if this modem is listening on a channel, or false otherwise. channel can be any number. This peripheral allows your programs to easily encrypt and decrypt things. If you'd rather people have to write their own encryption programs, you can easily disable the recipe in the config. The middle slot must have 64 items. All 64 will be consumed. 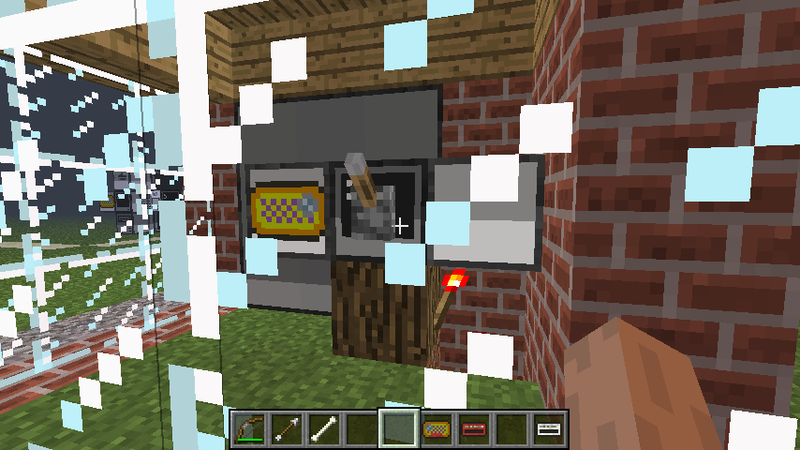 This recipe will not work with automatic crafting devices. 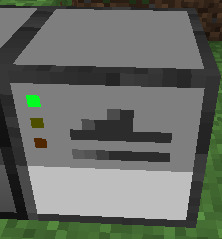 This recipe is compatible with automatic crafting devices. This is like the Operator Panel or Adventure Map Peripheral, but with more stuff. It lets your computer programs edit the world. It won't do anything if disabled in the config. Disabled by default in SMP. 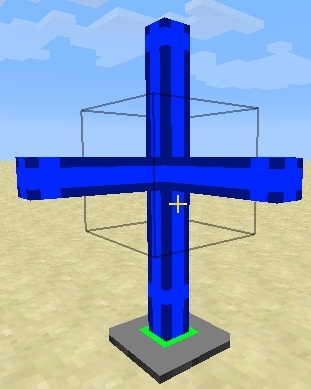 Uncraftable of course. 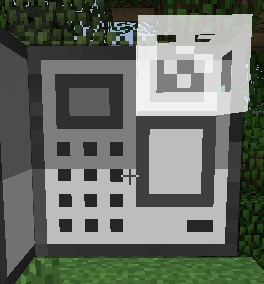 The volume control (in the options menu) works a bit weirdly on the speaker, as it bypasses Minecraft's normal sound system. The speaker "cone" can change brightness randomly. 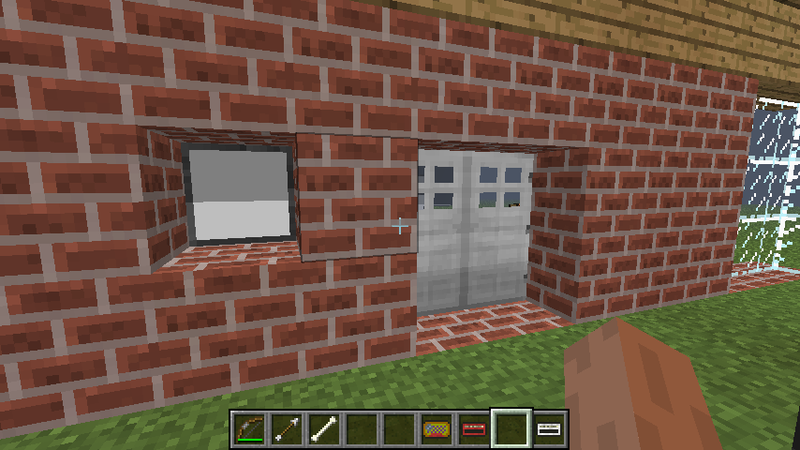 And almost forgot, a lot of the ideas and most of the textures were by ozbar11. The code was by me. Edited by immibis, 20 December 2015 - 12:58 AM. This is a cool add on . I haven't messed with it too much but this is what I have so far. My first Mag card door. Very cool =) Question though, what is the advantage of a mag-card vs a disk drive besides the simple interface of just right clicking with the card? Using RFID cards we can collect even more infomations on our users, now we can also add a localisation system to the database with all the private data! That's their only advantage, really. RFID cards are the ones that respond from in your inventory. Until your enemies figure out how to copy the card! If I had the time / equipment I would do a shot for shot remake of Mission Impossible using CC this add on frames for Vault Door / moving stuff. You would need a mod that allows you to crawl through vents. and some way to lower a player by rope. but I'm shore it could be done. Mag cards are very cool but without a hand help card swipe it will be hard to copy them.To make it harder to copy lots of cards making it store only one cards data at a time maybe. OpenGL: Radeon HD 6800 Series version 4.0.10243 Compatibility Profile Context, ATI Technologies Inc.
can i fix this or will i have to get rid of some mods? So after few hours of head scratching and swearing I have finally got something cool (well think it is) to work. 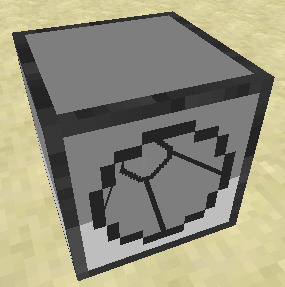 * the wire will need to be replaced with Redstone dust if not using RP. Remove whichever you want less for now, and ask in the RailCraft forum or thread. I'm sure CovertJaguar will fix it. I'd make a more complicated system evolving daly changed passwords and even more security.